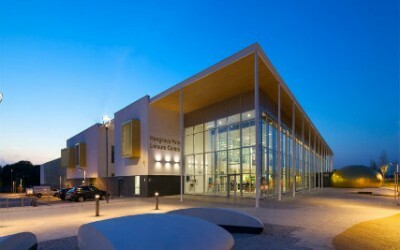 Areas Supplied: Pool Tanks, Pool Surround, Sauna & Steam Room, Wet and Dry changing facilities, Café and Circulation areas. 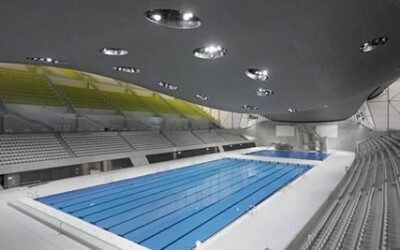 The £15m investment project, Oldham Leisure Centre; is a brand new modern leisure facility which now open for business. 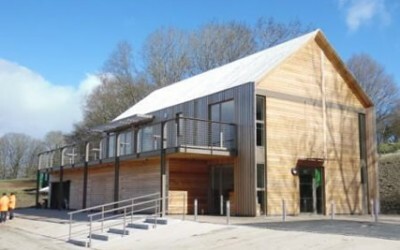 Construction began after the long-awaited plans were approved to give the community an improved centre, to for fill their leisure and fitness needs. 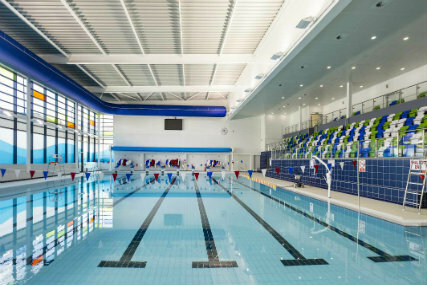 It houses a 25m, 6 lane swimming pool, viewing balcony (seating 150 spectators), learner pool, 80-station gym, 8-court sports hall, 1 cycling studio, 1 sauna and steam room, 2 dance studios, 4 bowling rinks and a café. 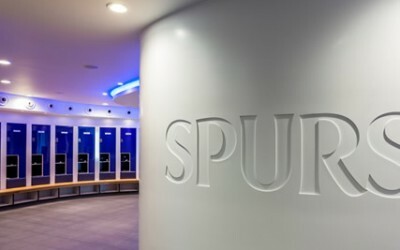 Spectile Ltd were chosen to supply their architectural tiling package to the pool tanks, pool surrounds, sauna and steam room, wet and dry changing areas, café and circulation areas (including reception areas on both ground and 1st floor levels).